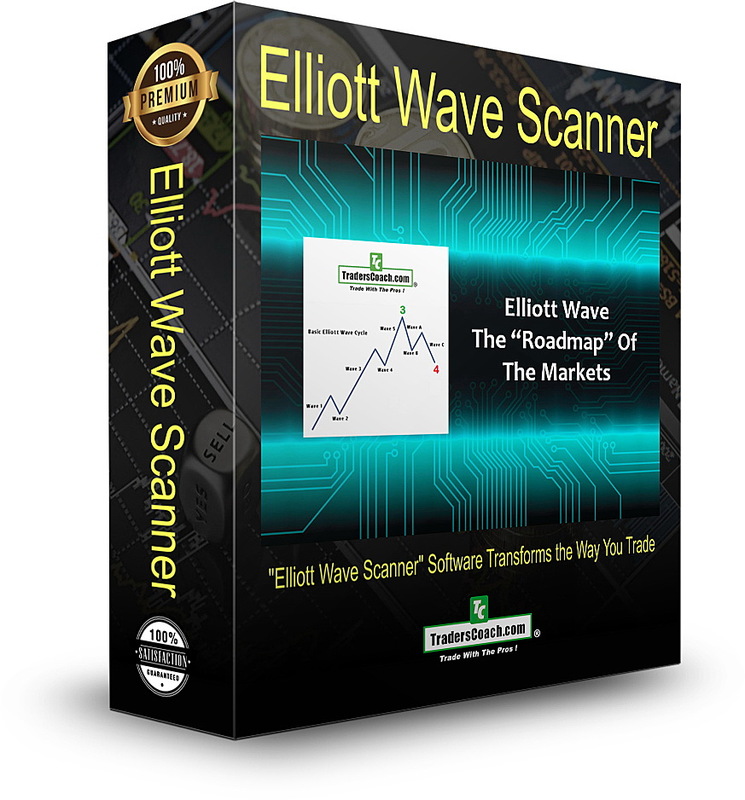 Add The Power of Elliott Wave to Your Routine With the NEW "Elliott Wave Scanner" Software – And Find Wave 3 and Wave 5 With Ease! Use TradersCoach.com's "Elliott Wave Scanner" to get access to a quote sheet window that has multi-instrument, real-time scanning and analysis to find Elliott Wave 3's and Wave 5's on all times and all markets! We listened to you! 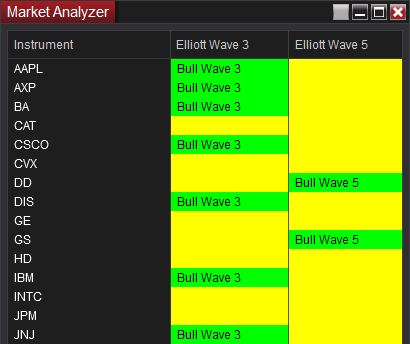 And by popular demand, we are proud to announce the soon to be released "Elliott Wave Scanner" Software. This software scans for financial instruments that are in Wave 3 and Wave 5 to save you time and effort. 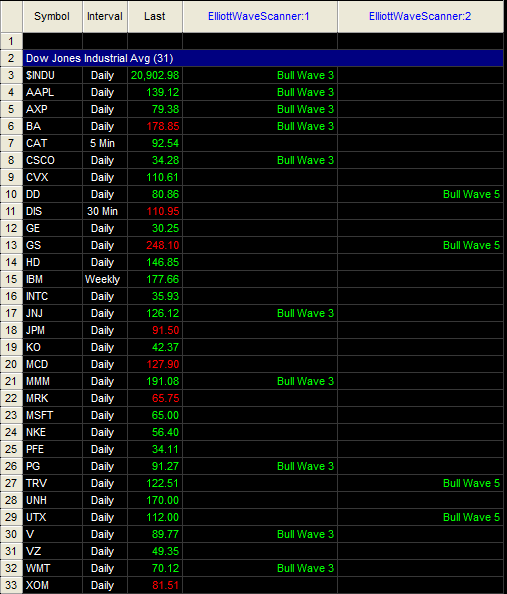 And, to get you in on profitable Elliott Wave trade set ups early. You'll spend less time looking for high probability Elliott Wave trades, because the "Elliott Wave Scanner" finds them for you. Puts you in the drivers seat to pull the trigger on only the best Elliott Wave trades. "I've been loving your software products, to be honest I have never felt so much in control of my trading before. Been doing this for about 3 to 4 years, with a lot of opportunities to grow, but since I read Bennett's book and got with TradersCoach.com, I feel supported and treated NOT as a number, but as a fellow trader." "In the past 2 weeks that I have traded I have made a killing - like this week I made 3 months salary. I don't trade every week, but in the last two trading sessions I have made at least a month's salary. The systems that I am creating around your software have been great and getting better and finally I am doing what I dreamed of doing years ago. Thanks for creating your software programs, it's the keystone to my trading and it seems almost too easy some days." 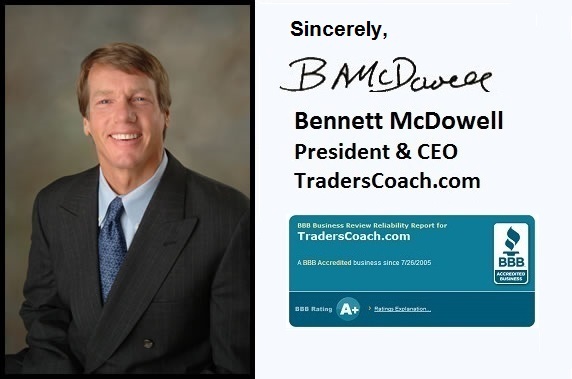 Bennett A. McDowell, founder of TradersCoach.com®, began his financial career on Wall Street and later became a Registered Securities Broker and Financial Advisor for Prudential Securities and Morgan Stanley. As a financial advisor, Bennett’s niche was Active Trading and Investing for a community of high net worth clients using his own proprietary trading system. This system later became known as the Applied Reality Trading®, or the ART®, system. Bennett brought the ART® software to the public in the year 2003. Today the ART® system is used in over 70 countries around the world by sophisticated hedge fund managers, individual investors and active traders alike. Since the ART® software was released, McDowell has developed many additional software tools that are also being used worldwide. 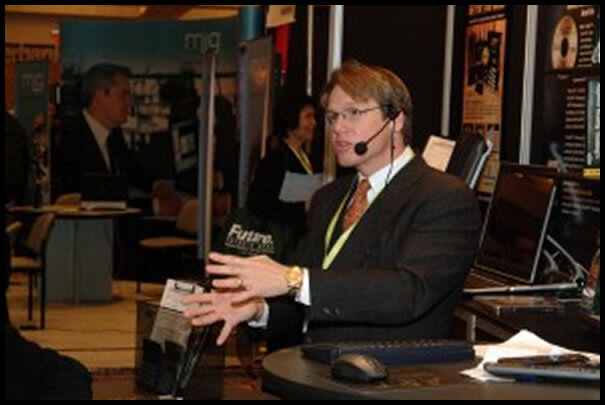 An expert in technical analysis and complex trading platforms, Bennett speaks at trade shows including the Trader’s Expo and writes articles for many leading trading publications including Technical Analysis of Stocks & Commodities magazine. Internationally recognized as a leader in trading education, Bennett teaches trading to students worldwide through his company TradersCoach.com®. He is honored to be included as a member of the eSignal Trading with the Masters team and also to present the TradeStation Morning Market Briefing every Wednesday. In addition, TradersCoach.com®, Applied Reality Trading® and The Traders Assistant® Record Keeping System have received numerous Stocks & Commodities magazine Readers’ Choice Awards. McDowell has written three bestselling books published by John Wiley & Sons: The ART® of Trading, A Trader’s Money Management System and Survival Guide for Traders. His new book Elliott Wave Techniques Simplified was released by McGraw Hill in 2016. "Hey Ben, I wanted to again take some time out to sincerely thank you for all you have done for me (and all of your students) over the last four years. I read somewhere that the chance of succeeding in trading for a living is less than for a high school football player to make it to the NFL. I believe this is true as nothing has been as challenging in my life. On the other hand, nothing has been as rewarding. I could never have achieved what I have without you, Jean, and your team. I know I ask for a lot of advice from you and I hope I can get the chance to repay you in some way someday. I have religious entry and exit rules and what has really made the difference in the last two years has been learning when to day-trade futures and when to switch hats and swing trade options. Overall, I achieve consistent 3-5% on full capital per month with a 55-60% win/loss ratio and a payoff ratio of just less than 2:1. Thanks again and as always it goes without saying that whatever direction you can point me in, I will be an “TradersCoach.com® disciple” for the rest of my career and will never be able to praise your work enough." "Bennett is a very talented coach and a good teacher. Not only has he designed a powerful system to analyze any market on any time frame on quite a few different platforms, but he also has the ability to make it simple to understand and easy to use. His explanations are clear and straightforward and his tutorials are highly motivating. He is backed by a dedicated efficient support team. It is comforting to know that such help exists for us lonely traders!" 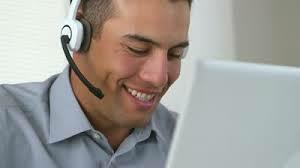 This gives you thirty days of unlimited live remote technical support and installation of your software. As a result, you can rest assured that your software will be correctly installed and set up for you to begin using quickly. We eliminate the headaches! 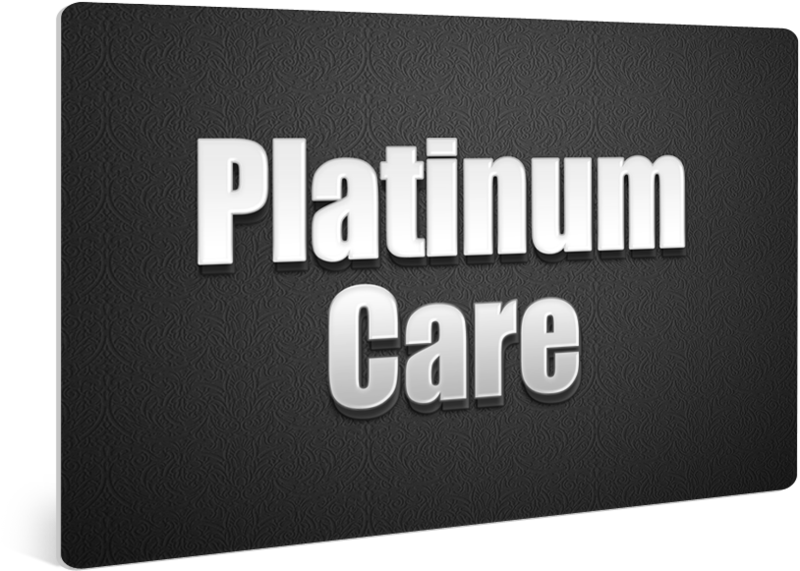 Plus, with Platinum Care you can plug your new software into TWO different charting platforms at the same time to see which one your prefer. We are right there by your side 24-hours a day and 7-days a week. Just send an email to our expert support team at [email protected] and you will get answers to your questions on a variety of topics including: computer and platform trouble shooting, answers on how to use your software, guidance on where to find the right videos and training materials, and so much more. 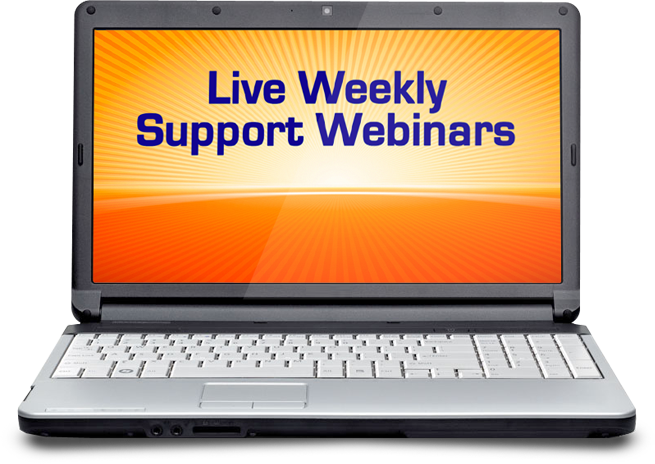 Join us weekly for these interactive training webinars. You'll get answers to your questions in real time during each session. Your trading skills will grow faster than ever as we show you how to use your software in any market, any time frame, and on the charting platform of your choice. And, you get a recording of each week's training to study at your convenience. Quick Start 1-on-1 Private Consultation – This hour long private consultation is designed to get you up and running right away. Using GoToMeeting communication, your Coach will show you how to use your software and answer your questions. And, you get a recording of your Quick Start session to study at your convenience. "Bennett, I can't thank you enough for all the work you have done to fix my problem. You guys (and gals?) have taken customer service to a new level. I'm up and running!" "You are one of the best companies I have ever dealt with. Your products and services are great. God bless you and your family, and although a bit further out, have a very happy Thanksgiving." "Thanks for having your techs fix my machines today on extremely short notice! Your Platinum Service is worth every penny - kind regards, Scott"
The "Elliott Wave Scanner" Software– You get a Lifetime License on the charting platform of your choice complete with FREE software upgrades and no monthly fees for life. 30-Days of Platinum Care – For unlimited live remote technical support and installation of your software. TradersCoach.com® VIP Club Membership Ongoing Weekly Live Support Training Webinars (Lifetime Access) – Get interactive (you ask questions and get answers in real time) weekly education with Bennett McDowell on how to use the ART® software on any market and on any time frame and on the charting platform of your choice. Quick Start 1-on-1 Private Consultation – This 25-minute private consultation is designed to get you up and running right away. Using GoToMeeting communication, our representative will show you how to use the TradersCoach.com software and answer your questions. I want you to see for yourself how easy and POWERFUL my NEW "Elliott Wave Scanner" Software can be for you. That means you can order it today and use it as much as you want to see how effortlessly it will give you confidence in your trading almost overnight... literally put it through the wringer for a full 10-DAYS. If you don’t agree that it’s everything I’ve promised… everything you hoped it would be… then simply return it for a full refund of your purchase price. I guarantee you’ll be thrilled with this one-of-a-kind software package! "Hey done with garden duties today just in time to make enough in the E-mini to cover the cost of your software and indicators." "Just a quick THANK YOU SOOOO much! Everything works and I got confirmations on my subscription. You are a joy to work with. I appreciate your patience with me and I have enjoyed the webcast. So easy. I am highly recommending your company to all my friends! Thanks again." "I've been tracking all your picks. Right now, although only 37 long stock picks are closed, it resulted in a profit of $86K assuming a risk of 2K on each trade. Amazing!"